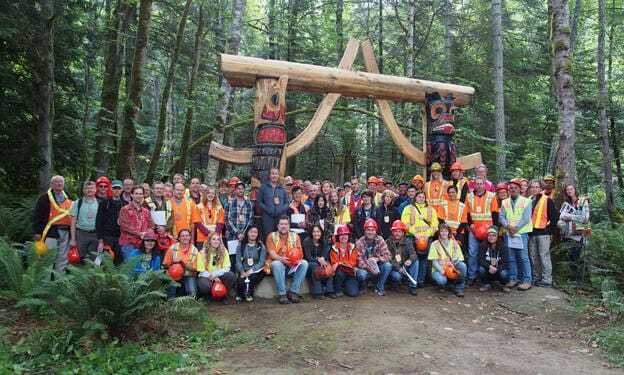 The CSC is an ad hoc organization of forest professionals whose prime objective is to disseminate current technical forest management and silvicultural information to all forest practitioners and the public in coastal British Columbia. Its membership includes corporate, government, and self employed professional foresters and forest technologist, forestry educators, forest land owners, researchers, and tenure managers. Every year the CSC holds two meetings; a short, one or two day, information meeting in winter, and a slightly longer field based technical workshop in early to mid June; summer meetings are held in a different part of the coast each year. The Committee is managed by a group of directors nominated by its "membership"; for each workshop the directors choose a chair person that directs a small group of directors in developing a theme and organizing the event. On December 7th, 1960 the Coastal Reforestation Board (CRB) was formed in Victoria, as a sub-committee of the Tree Farm Forestry Committee. Initially, the CRB was an organization whose focus was very much on reforestation and whose approach was strongly research based. During the early years, CRB workshops revolved around planting techniques, stock handling practices, and the review of operational research findings; much of which eventually lead to new reforestation technologies and the development of the container stock program in use today. By 1966 the Board expanded its focus to include seed production and the development of a coordinated cone collection committee to meet coastal reforestation requirements. Through the late '60s and early '70s the Board continued its work on improving its understanding and appreciation of reforestation issues and the improvement of seedling production, stock types, stock handling, and economic assessments. By the mid '70s, the Coastal Reforestation Board was expanding its scope well beyond reforestation; eventually the CRB morphed into the Coastal Silviculture Committee (CSC) which tends to consider a broader view of silviculture.